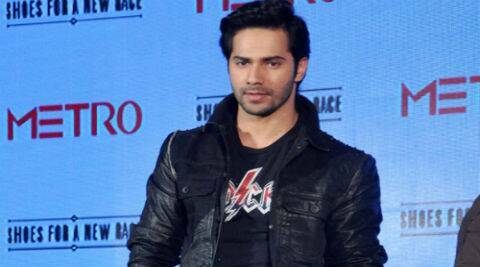 Varun Dhawan will play Suresh, a young dancer from Nala Sopara in 'ABCD 2'. Varun Dhawan will be seen in ‘Any Body Can Dance 2’. You might see Varun Dhawan spending a lot of time these days with a young dancer named Suresh from Nala Sopara because he is playing him in Remo D’Souza’s directorial venture ‘ABCD 2’, the sequel to ‘ABCD – Any Body Can Dance’. The aspirational dance film is based on the true-life story of four boys – Rohit, Pavan, Suresh and Vernon – who are part of a dance institute named Fictitious Dance Academy. Even more interestingly, Suresh, whom Varun Dhawan plays, also has a role in ‘ABCD 2’. “I thought I had exhausted my appetite for a dance film when I made ‘ABCD’. But then I came across the real-life story of these boys from Nala Sopara who went all the way from their home town to win a dance show in Las Vegas. I knew I had to tell their story,” said Remo. “Four of the boys Pavan, Rohit, Vernon and Suresh are in the cast of ‘ABCD 2’. And yes, Varun plays Suresh,” he addd. Varun, who proved his mettle in films like ‘Student Of The Year’ and ‘Main Tera Hero’, has been asked to spend time with Suresh to understand the mind of the dancing wizard who had the guts to dream of the sky. “I chose Varun because I needed someone who could dance. And I mean, really dance,” said the choreographer-director. “I also needed a very good actor since the character’s journey is not only about dancing but also his aspirations and dreams. It wouldn’t have been enough for my protagonist to simply be a fabulous dancer, like Suresh. The actor also had to express Suresh’s feelings. “Varun is both a dancer and an actor. I am convinced he will bring Suresh to life… He had better, since the real Suresh is also in the film,” added Remo. Besides Varun, the film also stars Prabhudheva, Shraddha Kapoor, who was seen in ‘Aashiqui 2’ and ‘Ek Villain’, and Lauren Gottlieb, the international dancer-actress who made her bow in Bollywood with Remo’s 3D dance movie ‘ABCD’. Unlike Varun’s character in ‘ABCD 2’, Shraddha’s character is fictitious. “We needed a strong female presence. So I wrote her character into the real story. As for Prabhudheva, he will play a dance teacher named Vishnu Sir, like he did in the first film. “But although he has the same name and same profession, Prabhudheva plays a different teacher this time. I’ve just taken his character from ‘ABCD’ and placed it in different perspective in ‘ABCD 2’,” said Remo. ‘ABCD 2’ starts shooting from Aug 1. The sequel to ‘ABCD’ would be far bigger in terms of canvas, scope, characterisation and budget, said Remo. “I hope to take the sequel much ahead of the first film. It’s a long journey and it’s a true story, therefore, it’s a double responsibility. We’re looking forward to starting the film. “We’ll miss K.M. Menon and Ganesh Acharya, who had stellar roles in the first film but are not part of the second film,” he added.